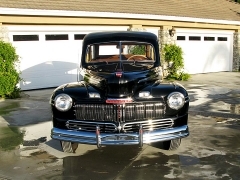 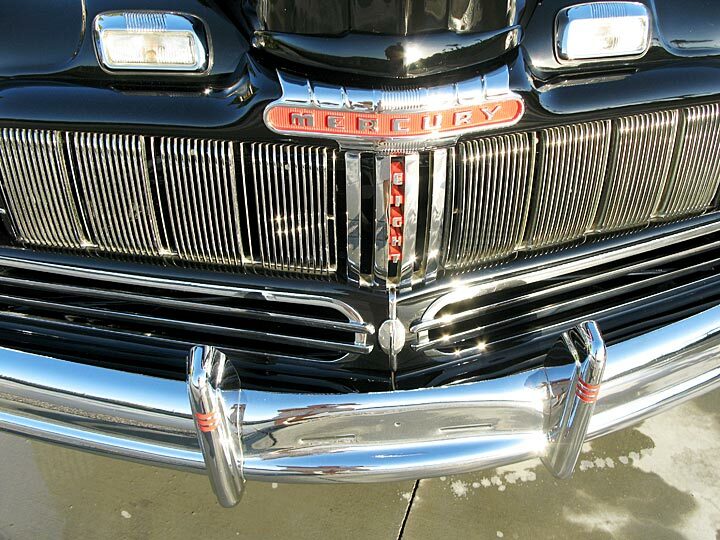 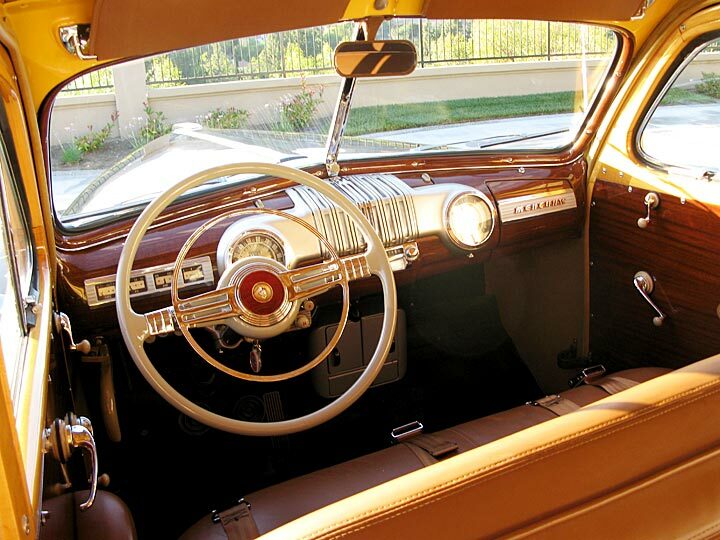 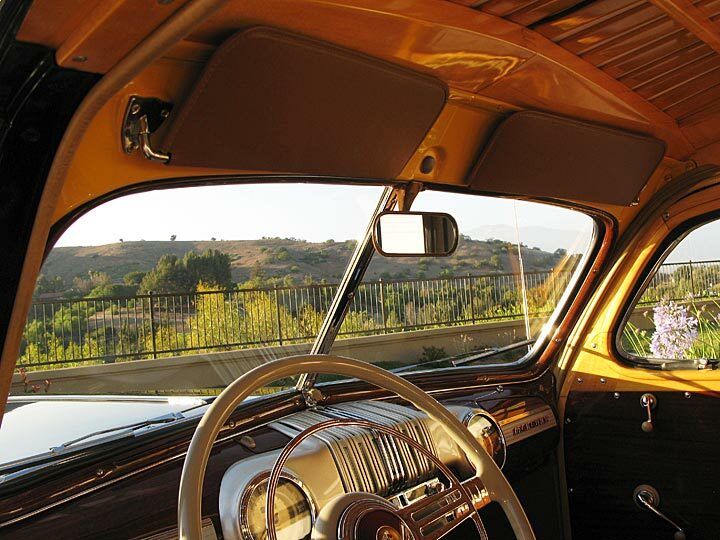 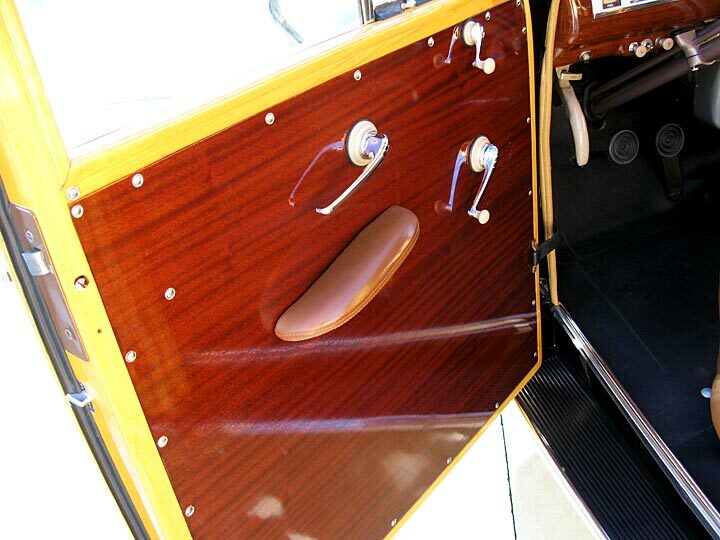 This is the 1946 Mercury that was featured in a series of 7 Woodie Times articles entitled “Restoring a 1946 Mercury”. 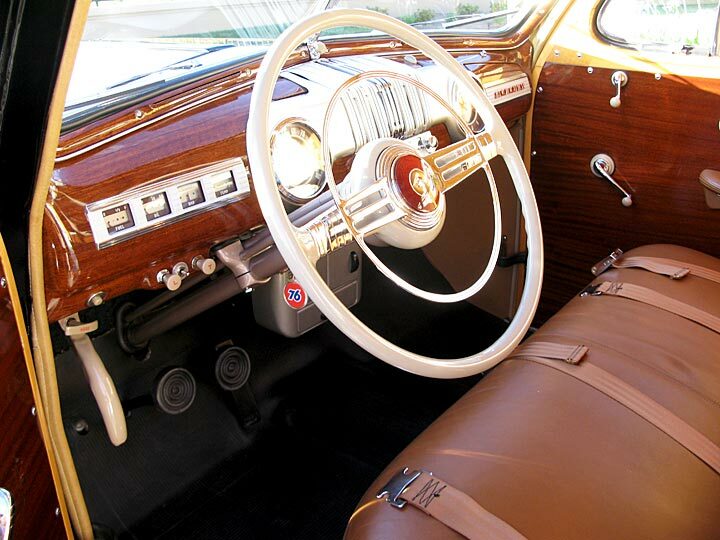 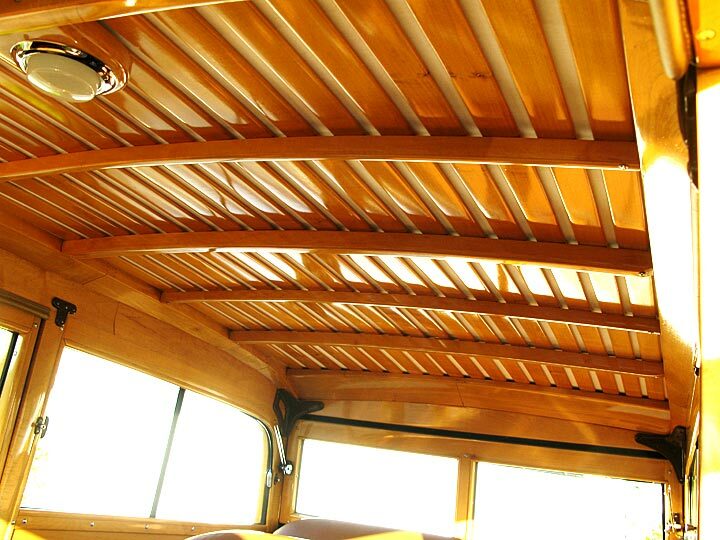 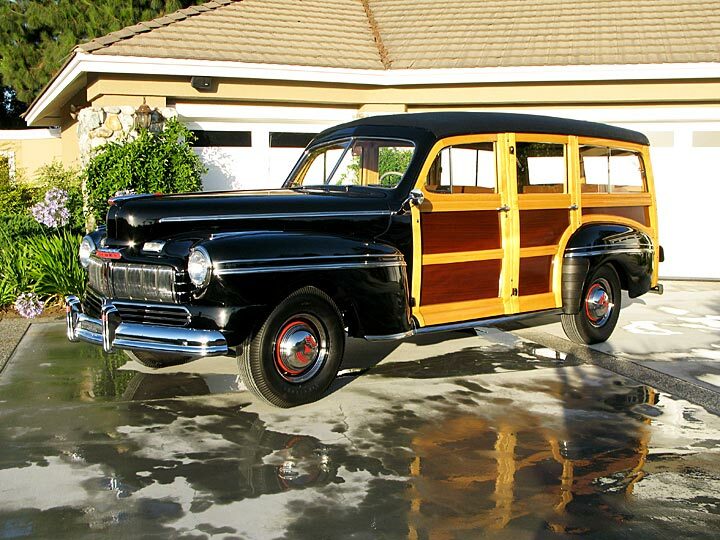 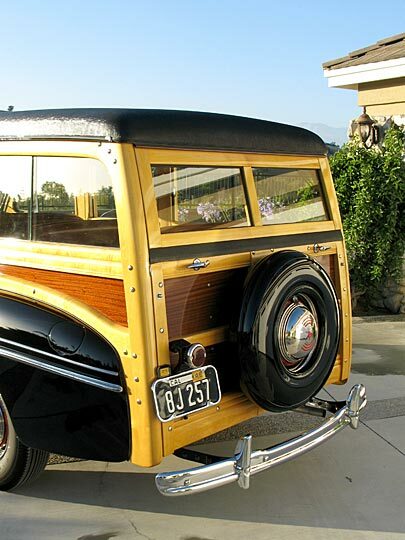 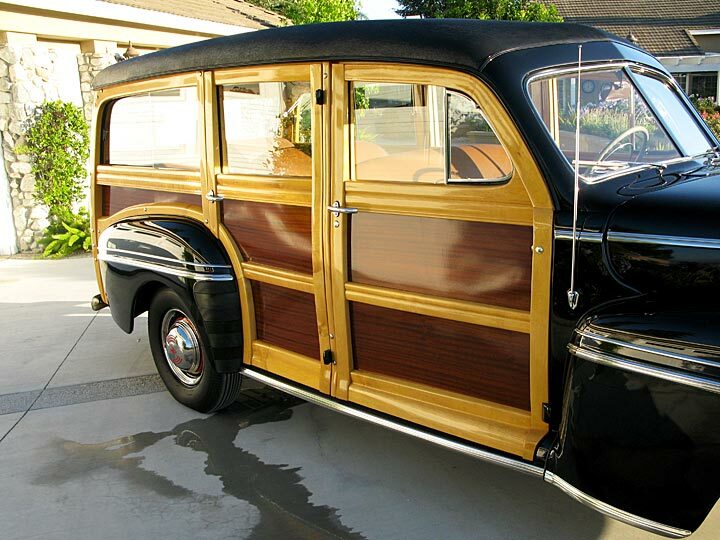 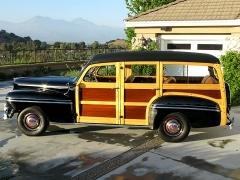 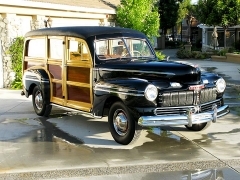 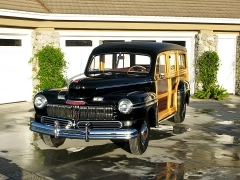 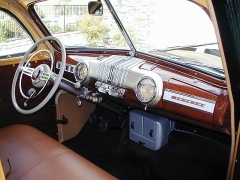 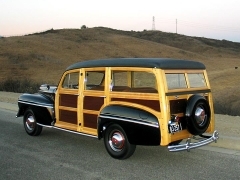 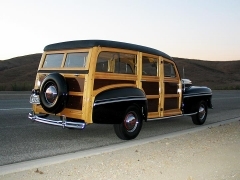 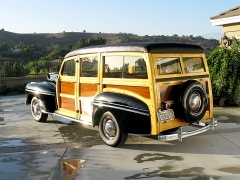 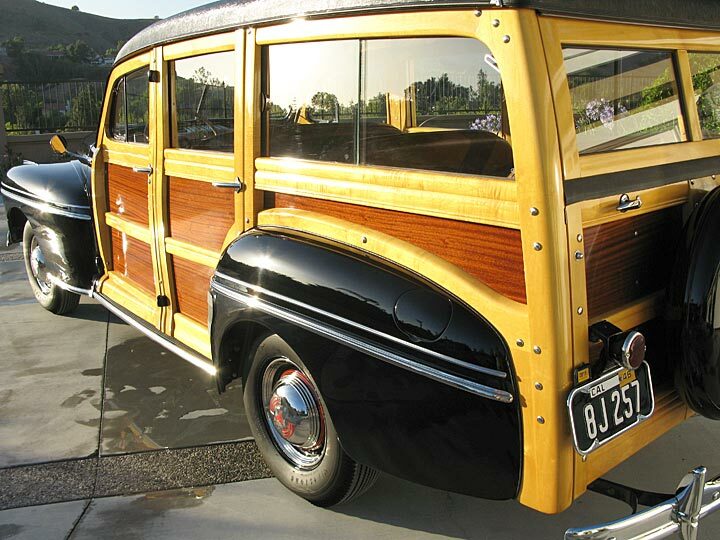 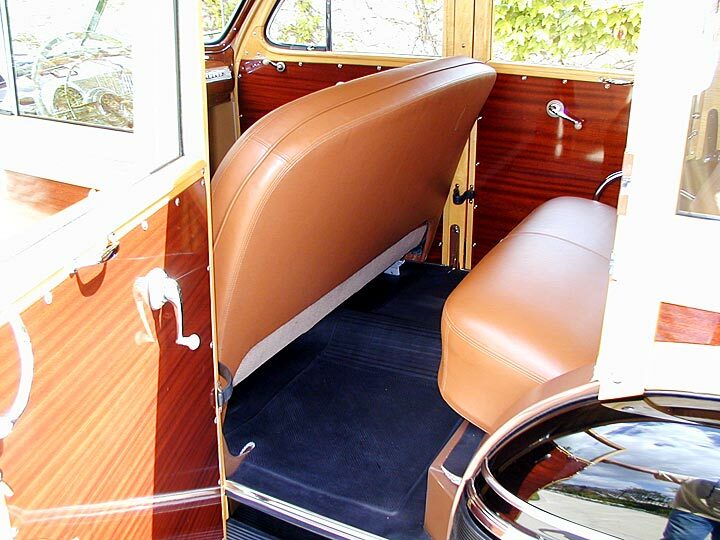 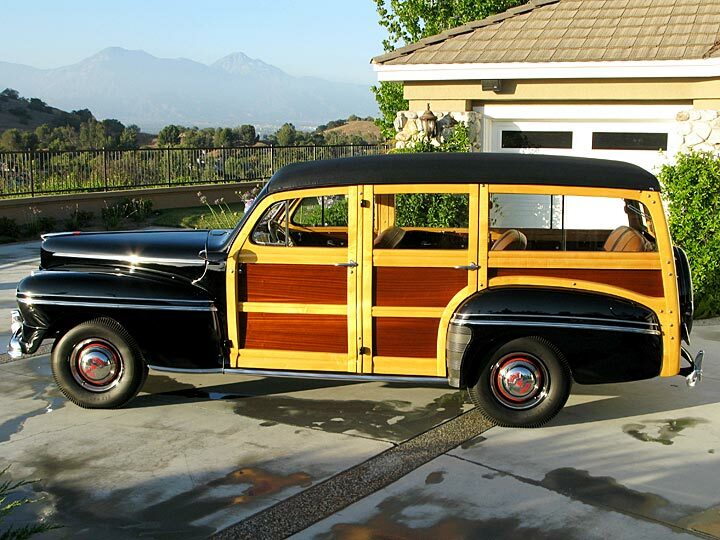 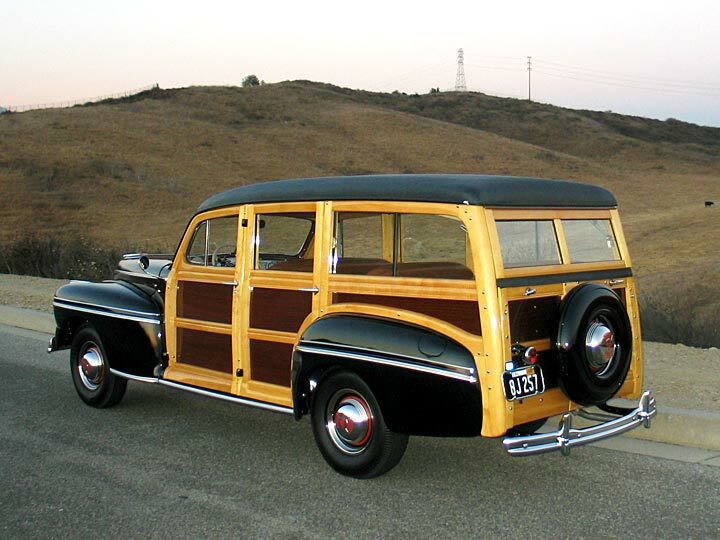 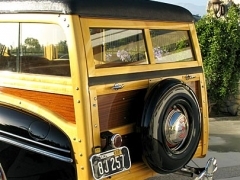 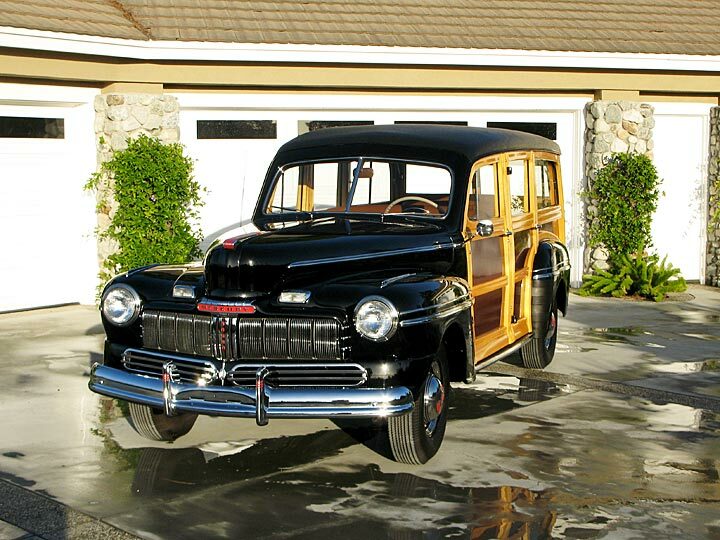 The articles ran in 2006 through early 2007 and followed the car from a “rust bucket” to this fully restored concourse quality wooden station wagon. 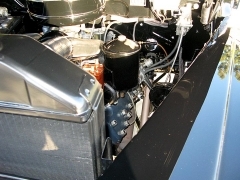 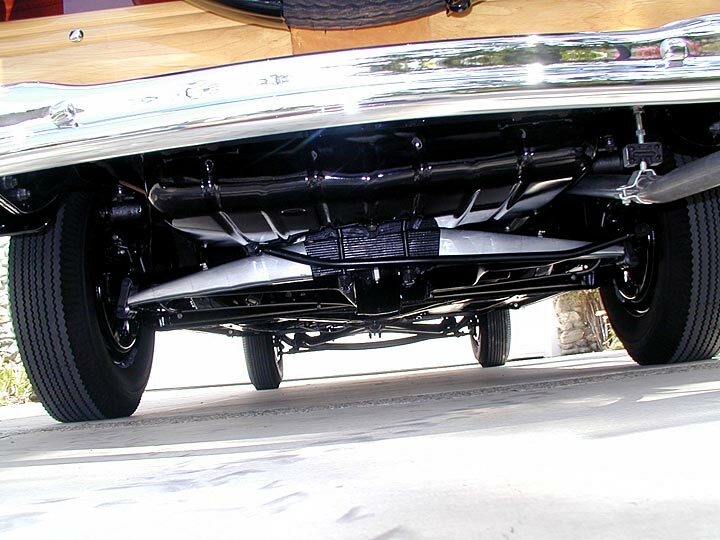 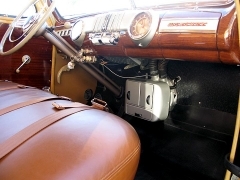 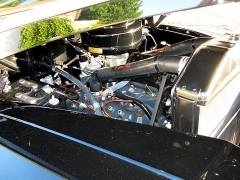 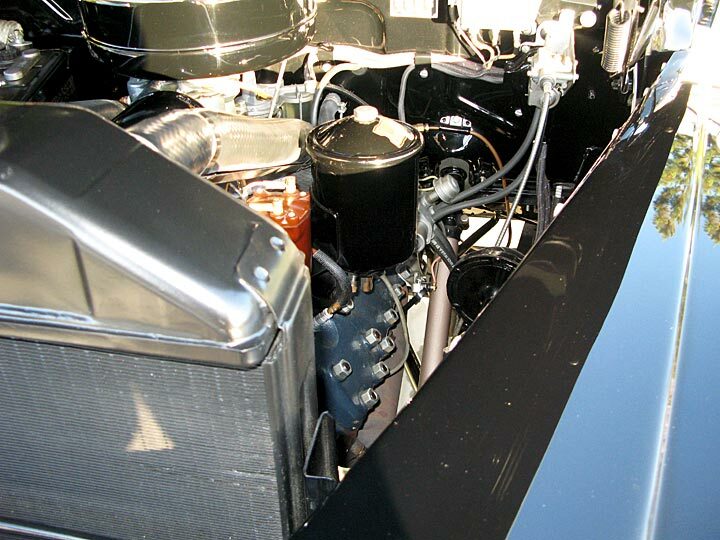 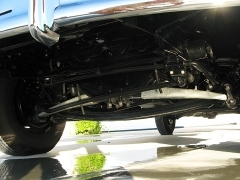 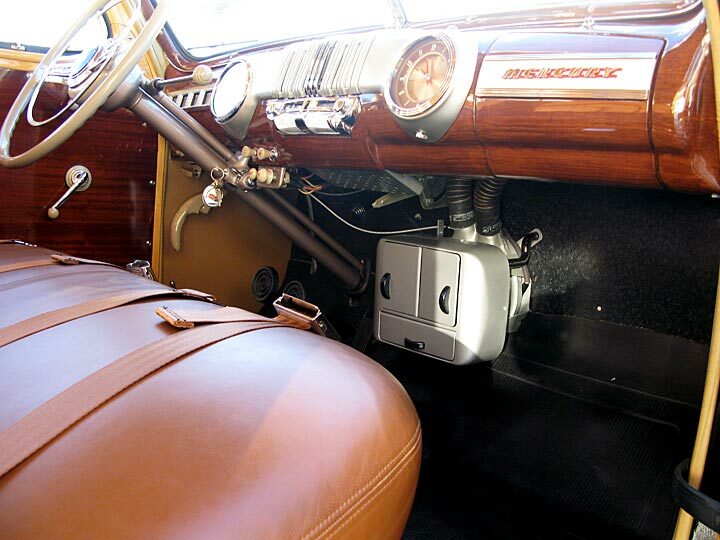 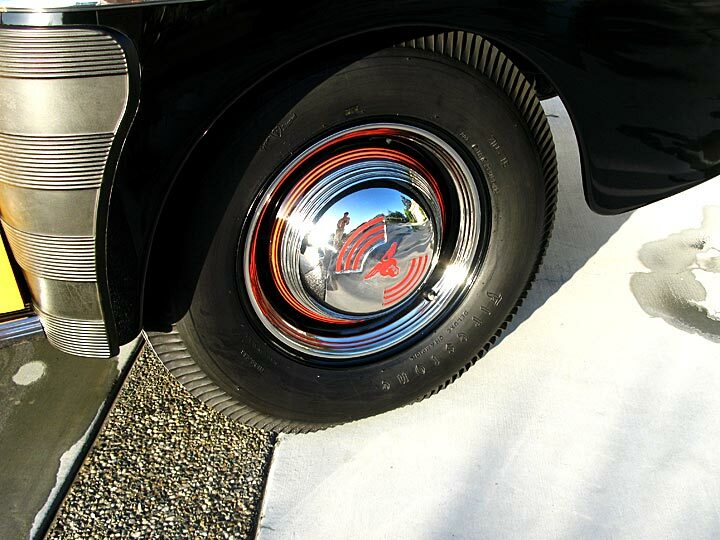 The articles covered all aspects of the restoration from disassembly, sand blasting, paint & body, dash restoration, motor rebuilding, wood kits, varnish work and the complete powertrain. 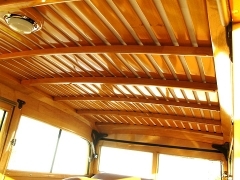 The project took over 3½ years and was much more work than I anticipated. 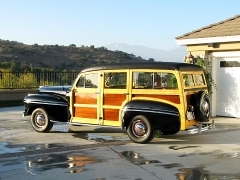 I purchased an entire forward floor plan in Georgia, had it shipped to California and welded it in place. 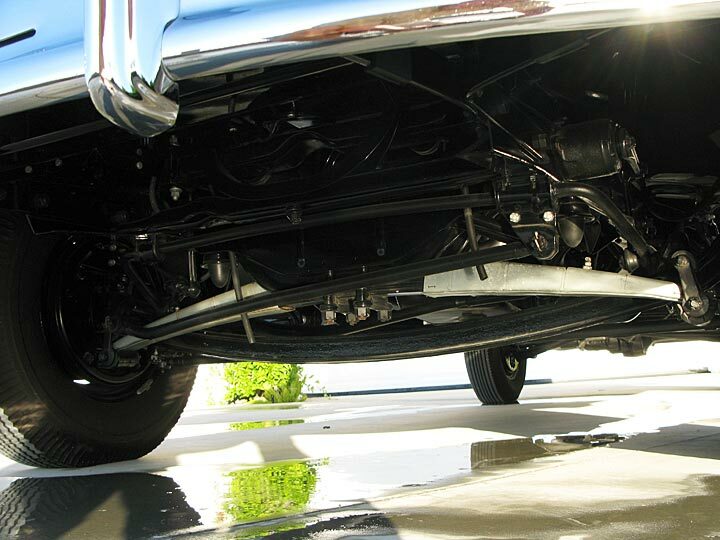 The floor is now completely rust free. 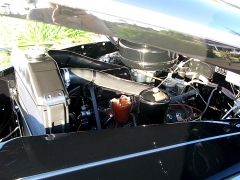 The stainless trim came from 6 different states, as it is becoming very difficult to locate at any price. The paint work seemed to take forever as I am not a professional and everything was a learning curve. 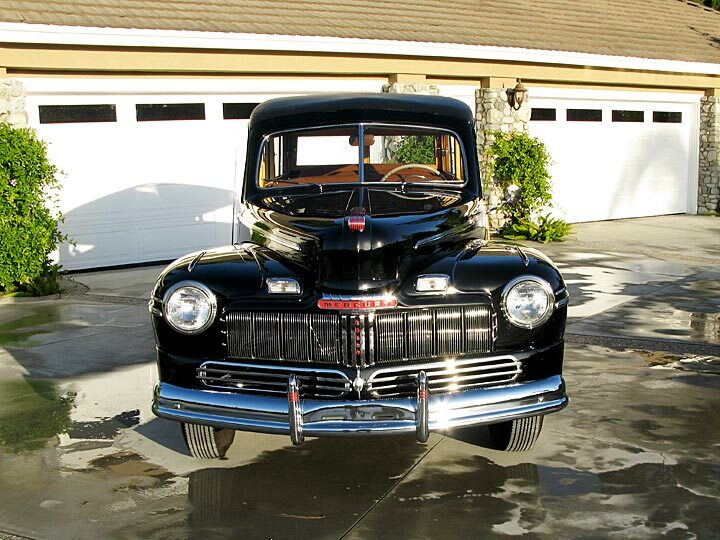 Why I chose black, I will never know, but it too is very challenging. 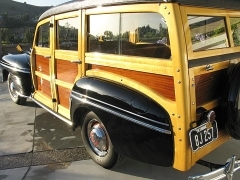 But the project was worth all of the effort and I had a fair amount of help from Nick Alexander’s crew and Ron Heider Woodworking who fabricated the entire wooden body from scratch. The end result is a beautiful example of a 1946 Post War Mercury Wagon without white walls, and one trail light, just as it left the Ford plant in 1946.